What is the best name for the wolf? A new titan has appeared outside of spawn thanks to the summoning prowess of Pearl! 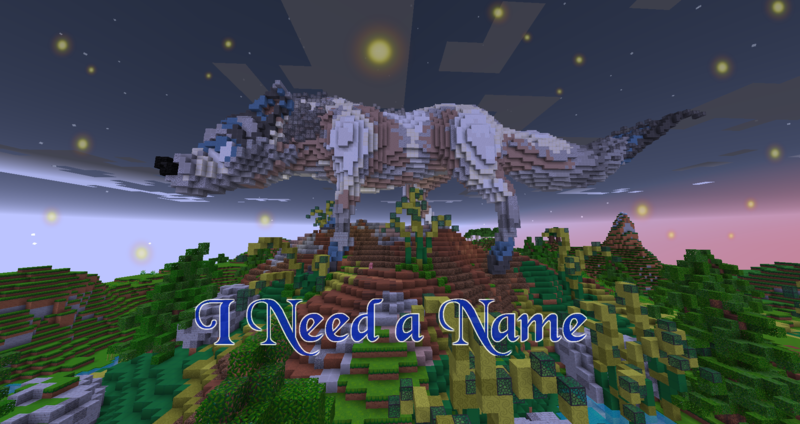 A wolf named... his name is... well he doesn't have a name yet and that's why we need you guys to help us come up with one! Just post up a name suggestion here and staff will pass judgment. Enter as many times as you like but don't make a million posts one right after the other. Give others a chance to reply first. You guys have until March 15th to post the best wolf names you got. If you get selected, you will win an in game prize. Eddard, or Ned for short. Moon Moon - a fitting name for a noob. Oscar. He looks like an Oscar don't you think? Fenrir - the son of Loki. He already exists in Norse Mythology. He was destine to grow massively and kill Odin during the Ragnarok so the Gods tried to tie him down, but he attacked and maimed several of them. "Bastion", as the wolf looks like it's watching over something, or defending its position. Why am I not suprised lol.